when the building was designed or constructed. want to start the repairs. failures are poor spacing, water, and termite damage". 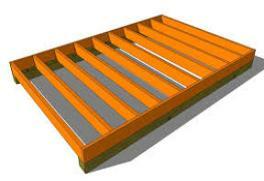 impacts on the floor, and create structural support so that the floor will be stable and secure. 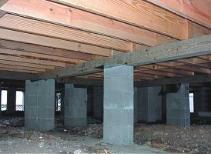 What Are Floor Joists, Structural Beams, Rim Joists, and Sub-Floors? bolts. While this will hold up the house, it is not a permanent repair and may will not pass a home inspection when you sell the home. are the material that builders trust. 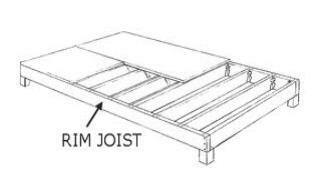 found early enough, the rim joists can also the wall above, it may require removal and replacement. Older homes typically have 3/4-inch thick 4- to 8-inch pine. Oriented Strand Board (OSB) also can be used for sub-floors.